Frances Bird has been a loner for so long that she's given up on ever finding real friendship. But then she's asked to show a new girl around school, and she begins to think her luck could finally be changing. Eccentric, talkative and just a little bit posh, Alberta is not at all how Frances imagined a best friend could be. 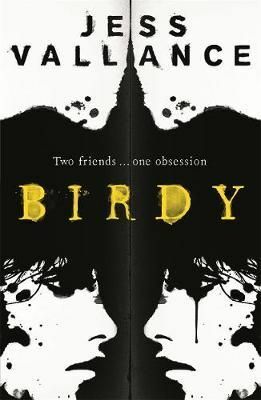 A darkly compulsive tale of friendship and obsession. Frances Bird has been a loner for so long that she's given up on ever finding real friendship. But then she's asked to show a new girl around school, and she begins to think her luck could finally be changing. Eccentric, talkative and just a little bit posh, Alberta is not at all how Frances imagined a best friend could be. But the two girls click immediately, and it's not long before they are inseparable. Frances could not be happier. As the weeks go on, Frances finds out more about her new best friend - her past, her secrets, her plans for the future - and she starts to examine their friendship more closely. Is it, perhaps, just too good to be true?